Samsung is strengthening its bid to become a major player in 5G networks with the acquisition of analytics firm Zhilabs. 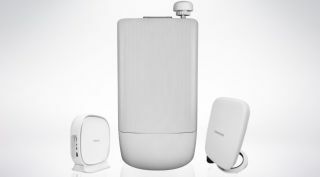 Spain-based Zhilabs is best known for its intelligent network and service analytics technology and Samsung wants to use this in its 5G network equipment to help customers fine tune user experiences. The Korean electronics giant says AI-powered automation will be essential for 5G applications like the Industrial Internet of Things (IIoT) and connected cars but will require analytical capabilities beyond the limits of existing tools. Zhilabs will operate independently once the acquisition is completed and the two firms will together on new technologies that will aid the transition from 4G to 5G. Samsung has ambitions to become a major player in 5G and is investing 25 trillion won (£17 billion) in areas such as AI, 5G and components for connected cars as it seeks to protect itself against smartphone saturation.